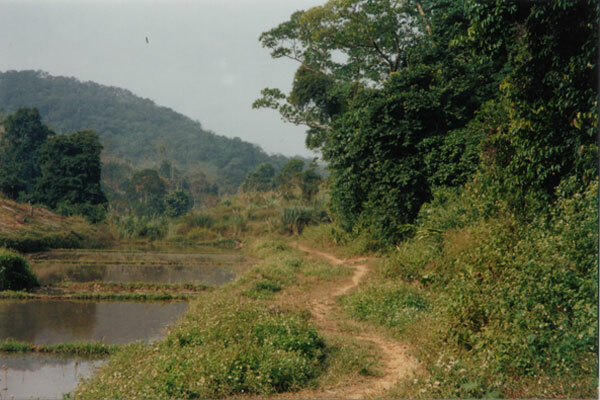 Trekking in the primary forest. 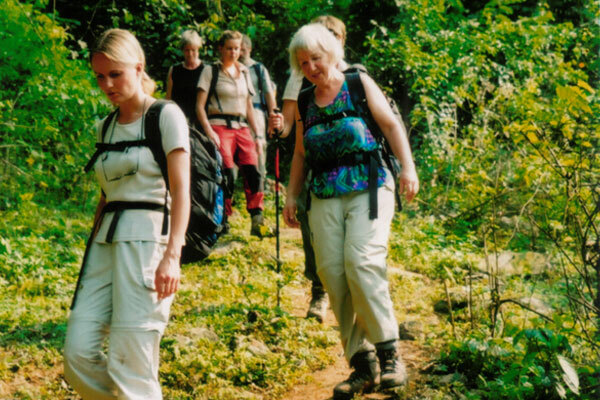 Excellent hiking opportunities abound in the park and you could spend days trekking though the forest. 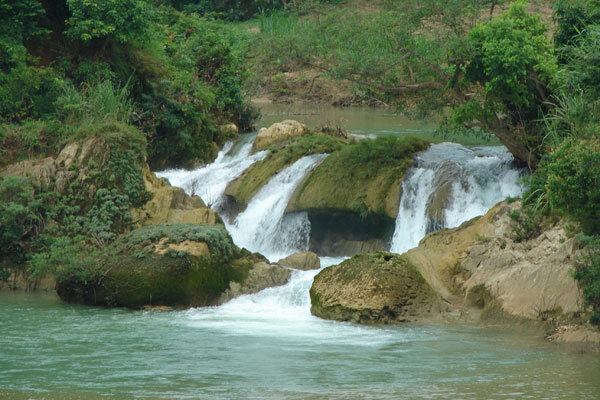 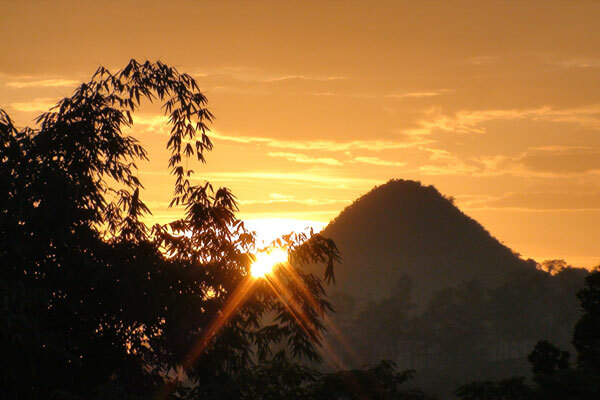 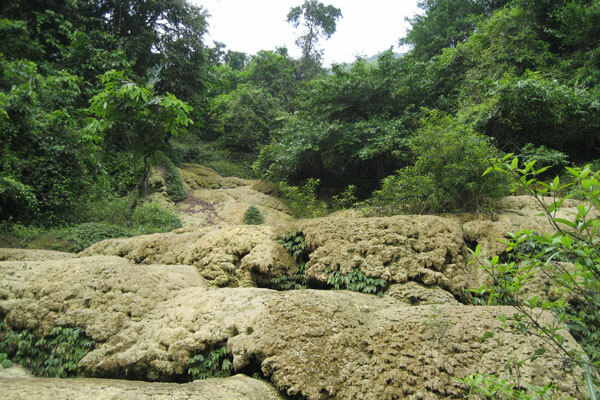 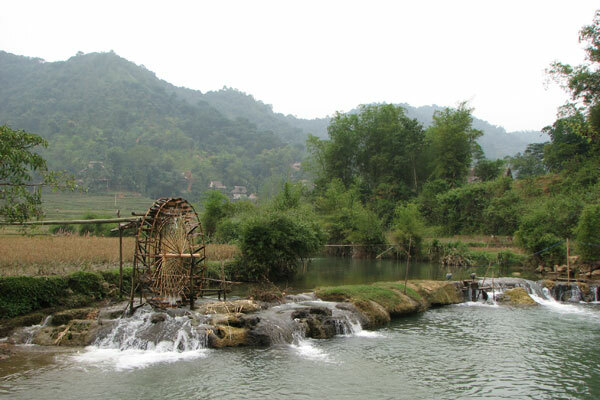 Popular trails will lead you to several ancient trees, caves and Muong villages. 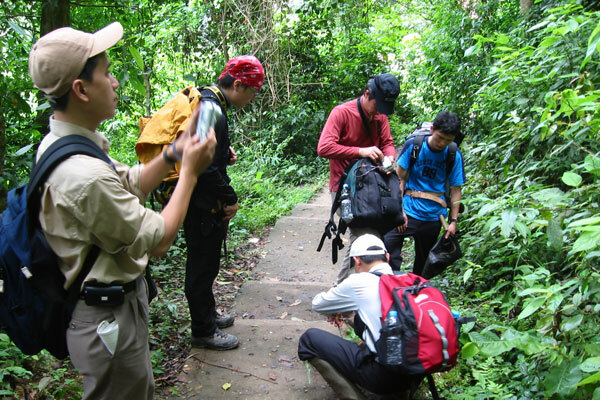 Park staff can provide you with basic maps to find the well-marked trailheads. 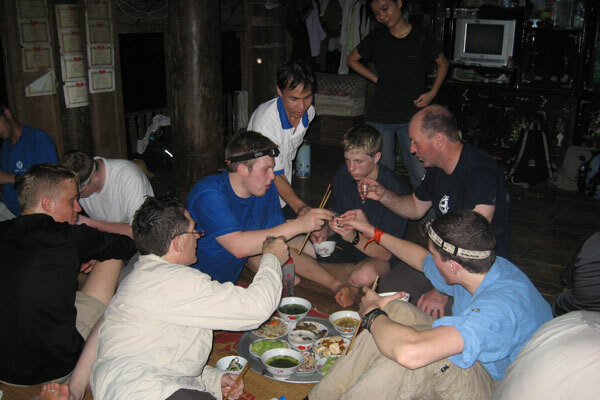 However, a guided tour is the best and most informative way to get the most out of both short and long treks. 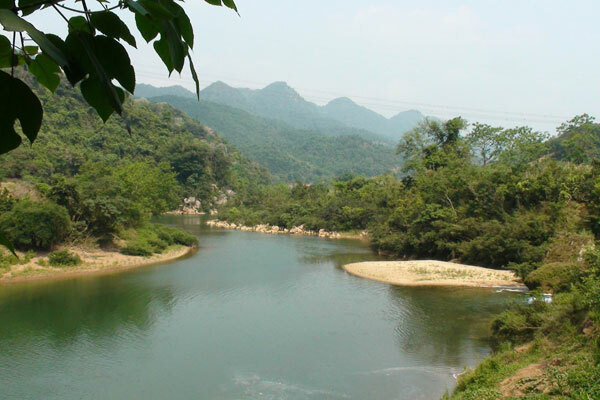 Longer walks to Ngoc Son Nature Reserve and Pu Luong Nature Reserve, overnight treks and camping trips are also possible. 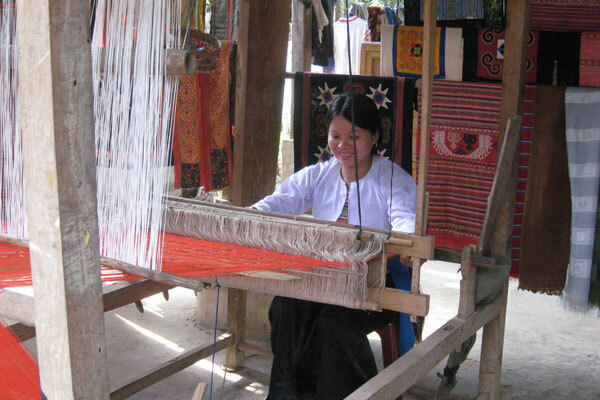 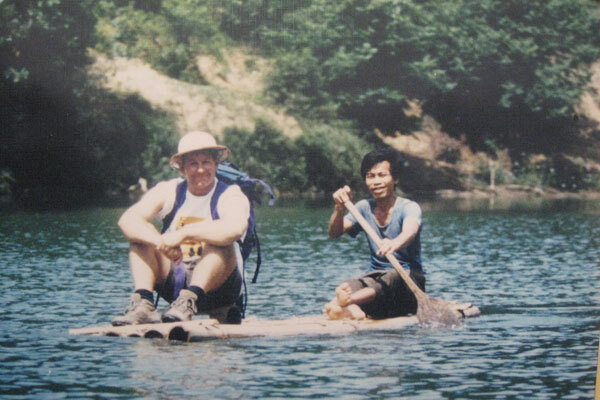 The forests of Cuc Phuong are immensely important culturally, providing livelihood resources for local communities. 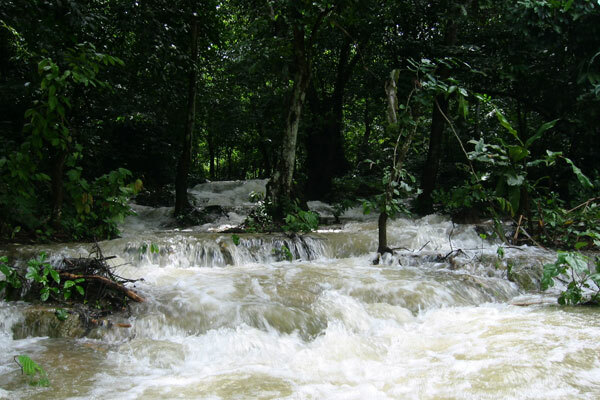 However, the forests and its resources are under constant threat. 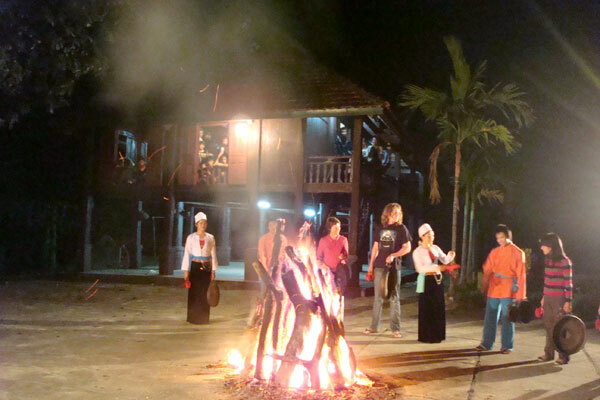 Community-based ecotourism initiatives are beginning to turn marginalized communities into local stakeholders, creating incentives to support conservation. 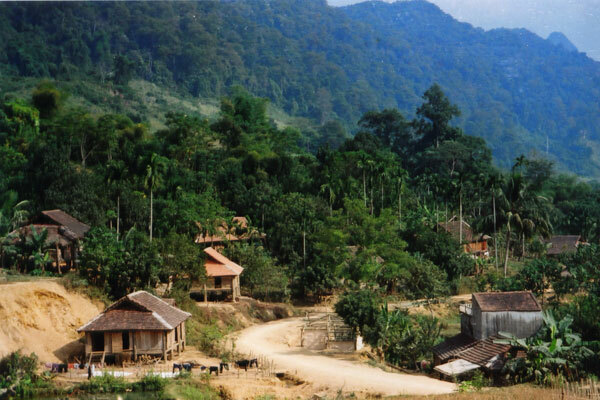 Why not take a trek to the Muong village of Khanh or to the villages in Ngoc Son Nature Reserve or Pu Luong Nature Reserve where the hospitable local people offer 1 or 2 night home-stay in their traditional stilt houses? 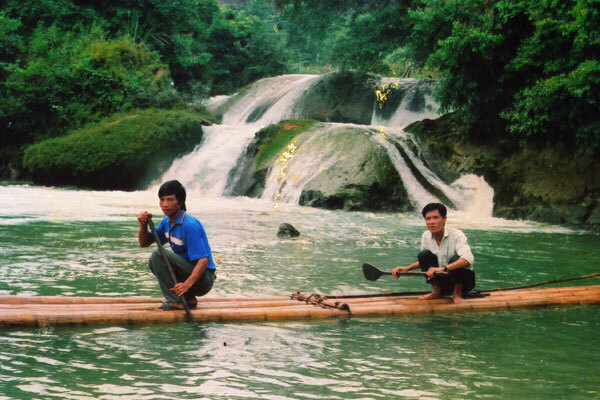 While in the village you will live as one of the family, eat together, have an opportunity to explore their culture and try out bamboo river rafting! 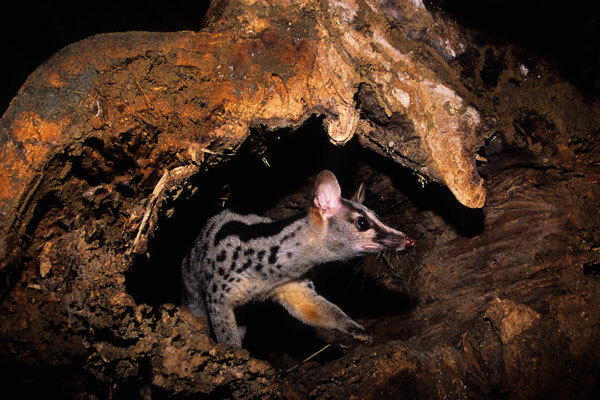 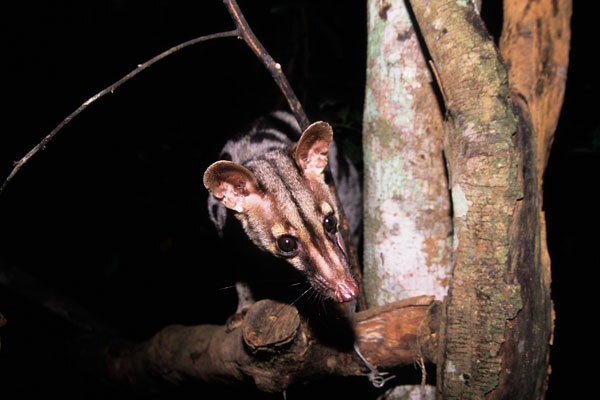 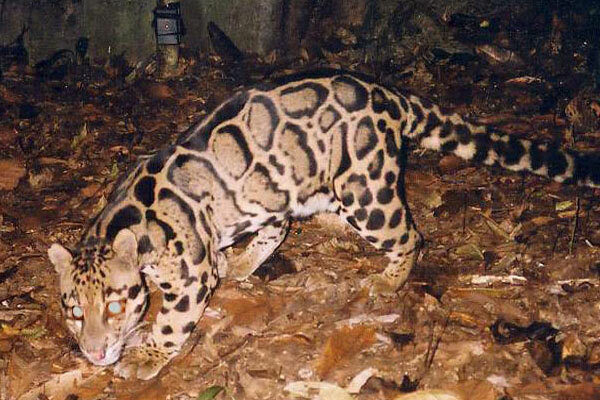 The park can organise night-spotting trips into the primary forest. 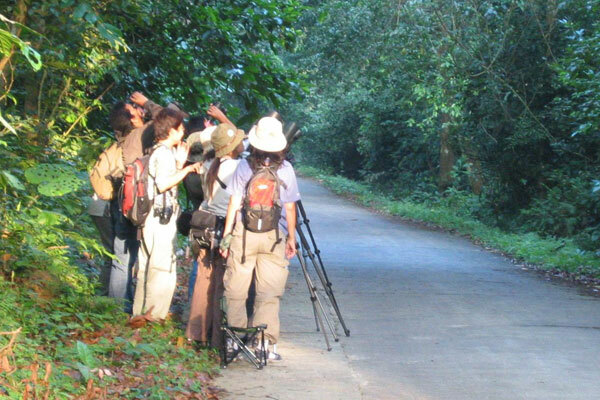 These special tours offer opportunities to see the more elusive mammal species of the park including the Black Giant Squirrel, the Indian Flying Squirrel, Samba Deer, Loris and several small carnivores. 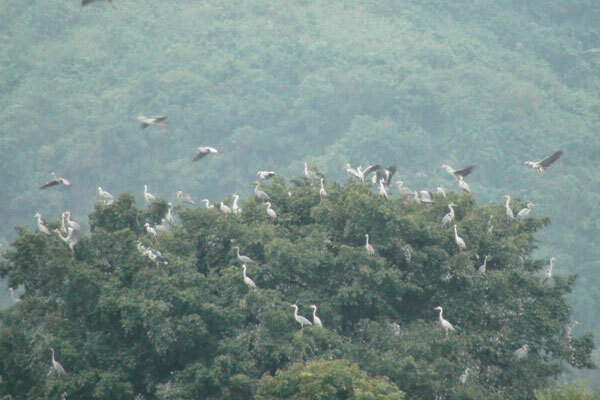 Cuc Phuong is home to a wealth of beautiful tropical birds, many of them endemic to Vietnam and Indochina. 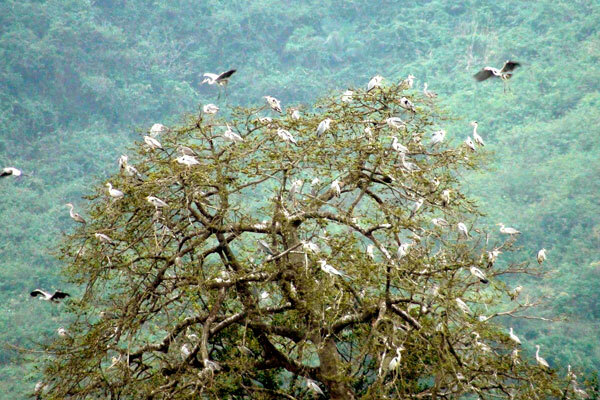 Some of the 308 species of rare birds that you might encounter are the Silver Pheasant, Red-collared Woodpecker, Brown Hornbill, Bar-bellied Pitta and so on. 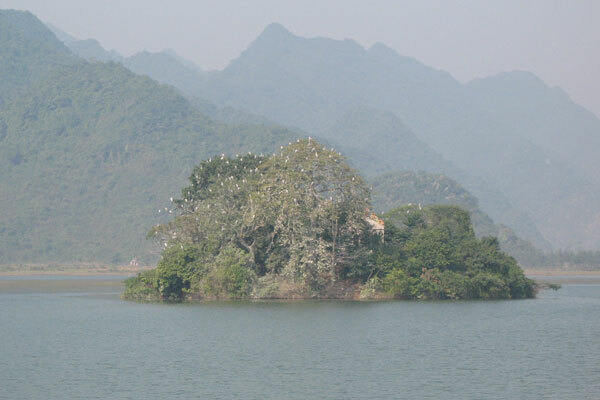 Cuc Phuong is quickly becoming a must-see destination for scientists and birdwatchers alike. 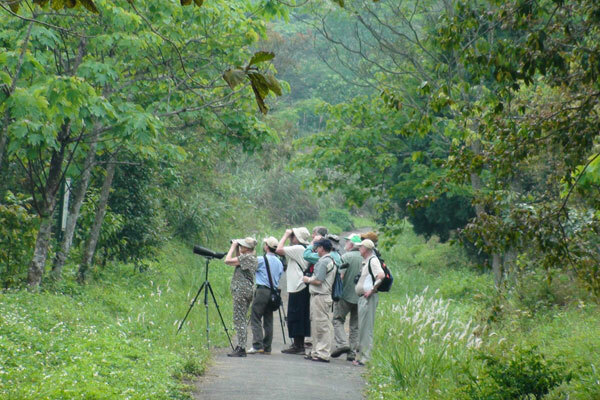 The best time for bird-watching is early in the morning or in the late afternoon. 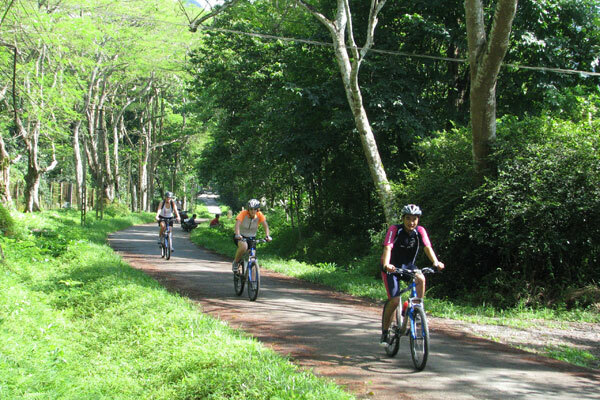 One fantastic way to experience Cuc Phuong is by cycling through the forest. 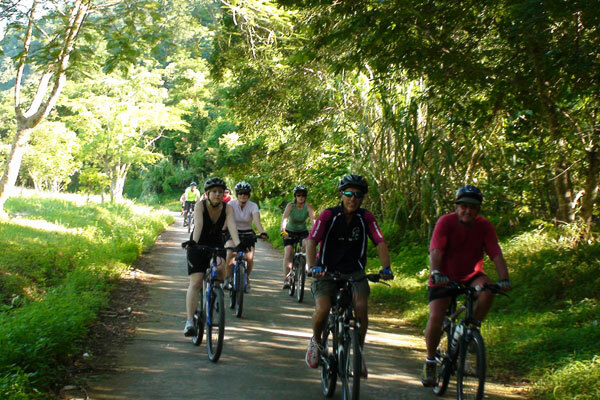 Biking offers the visitor not only silence and a cool breeze, but it is also a great way to view the more secretive animals and birds of the national park. 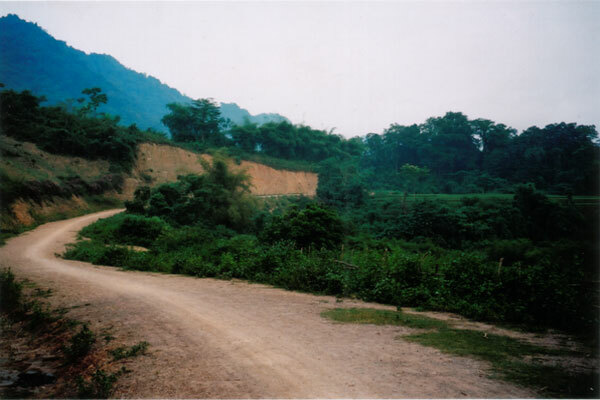 (Mountain bike rental is available in the national park). 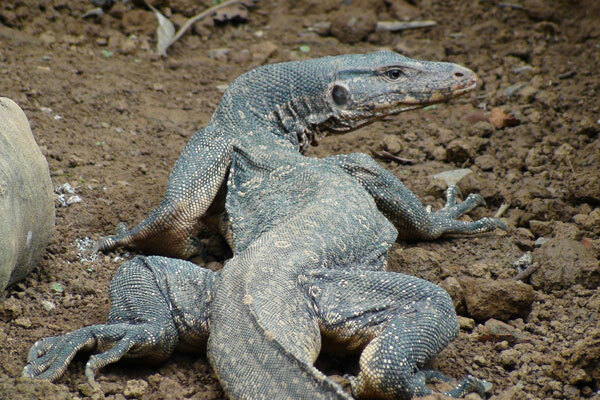 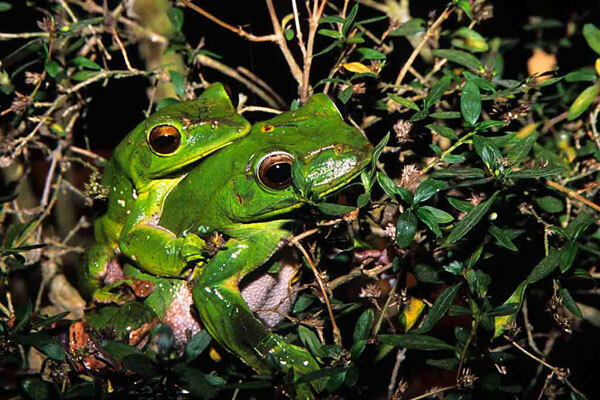 Cuc Phuong is also home to many different species of amphibians, insects, and reptiles, many of them endemic to Cuc Phuong and Vietnam. 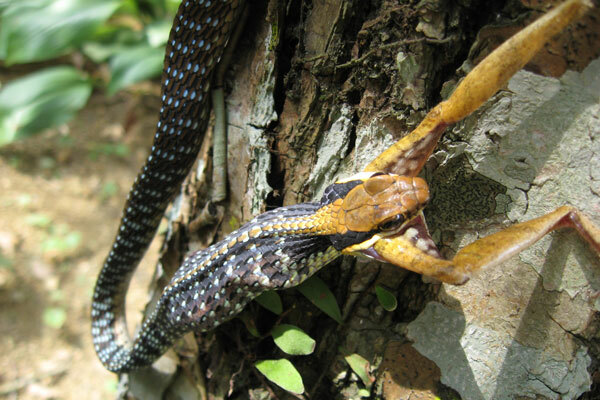 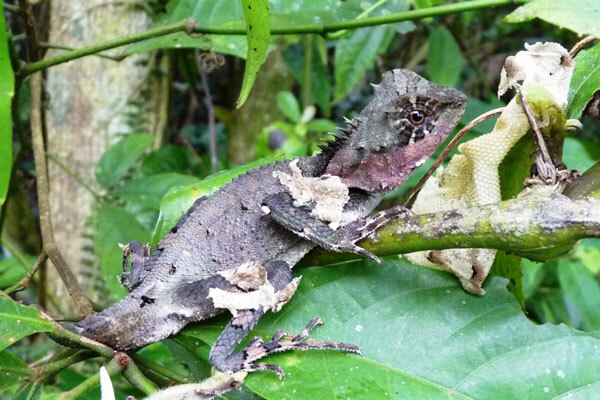 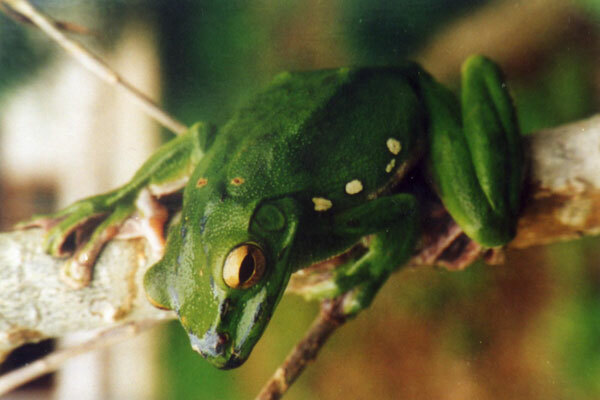 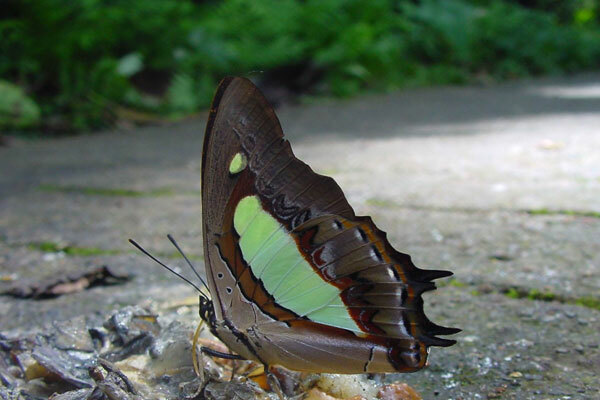 Some species are common with interesting characteristics, such as the viper, green tree frog and stick-insects. 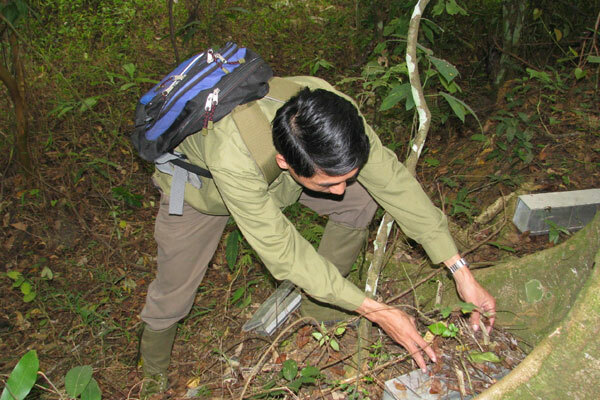 So far Cuc Phuong has a total of 43 biodiversity hotspots. 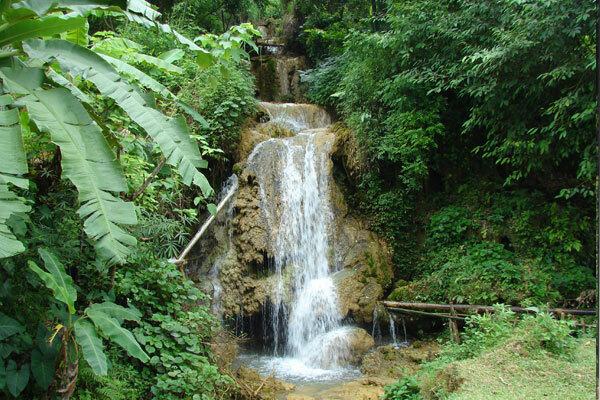 All of these are recognized by the Scientific Department of the national park and they offer you an excellent opportunity to study and see many different species of tropical plants. 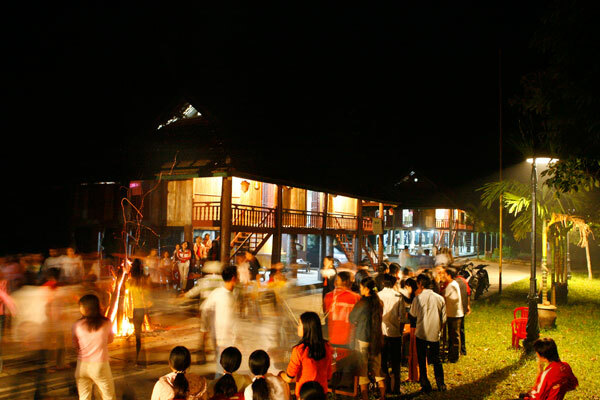 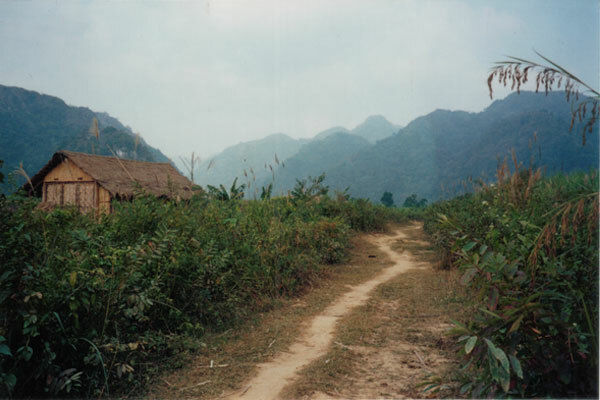 Cuc Phuong was a settlement of generations of Muong minority people with their own unique culture. 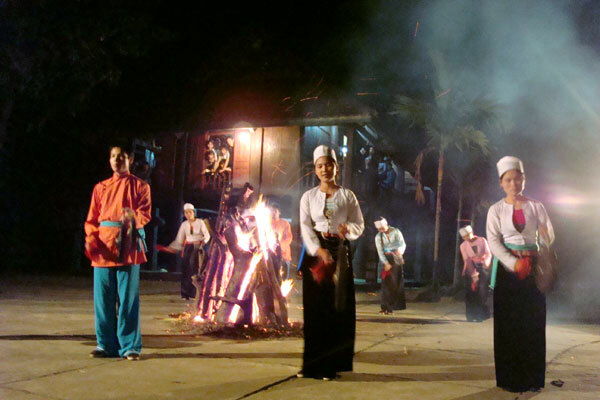 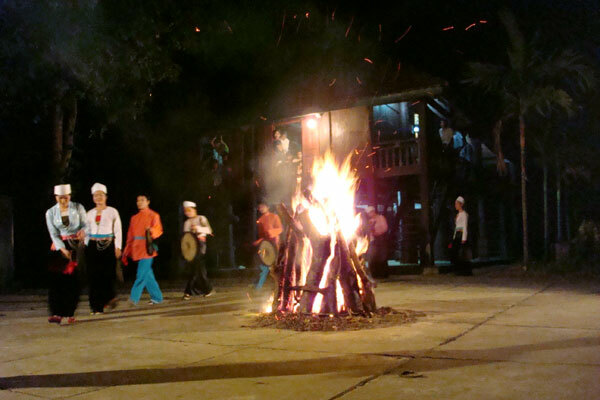 While visiting the park, you will have chance to enjoy the traditional songs and dances of different minorities which will be performed by young Muong girls and boys who live around the national park. 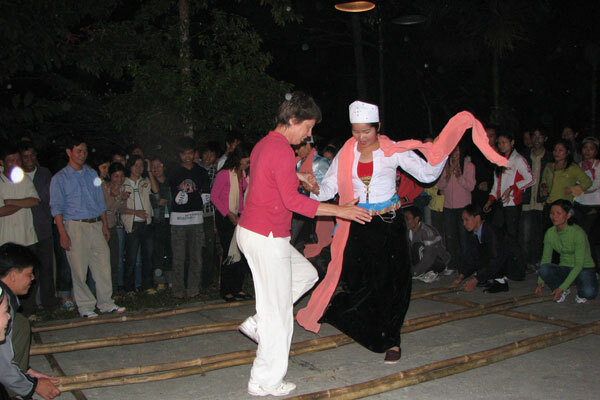 This activity was set up in order to preserve and bring into play the Muong and other minorities’ cultural characters, and through this you will understand more about the minorities of Vietnam. 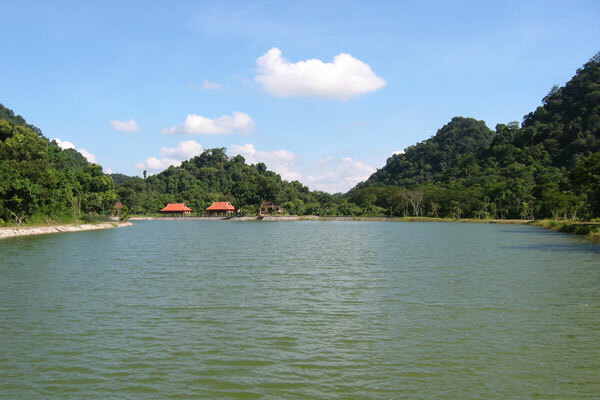 While stay at the park, you can also participate into many fascinating entertainment activities including kayaking on artificial Mac lake or the natural lake of Yen Quang. 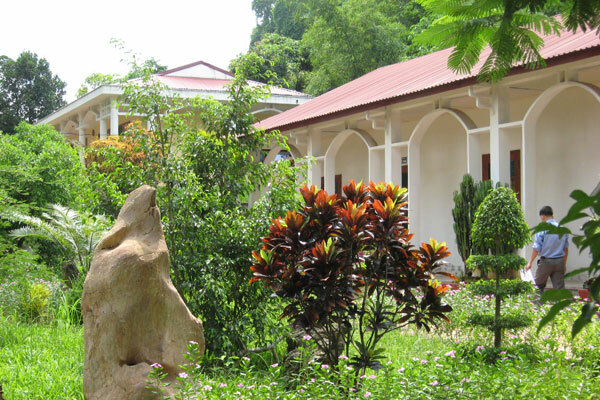 Visit Save Vietnam’s Wildlife’s Carnivore and Pangolin Education Centre which is 500 metres from Park Headquarters and find out more about Vietnam’s beautiful but sadly threatened wildlife. 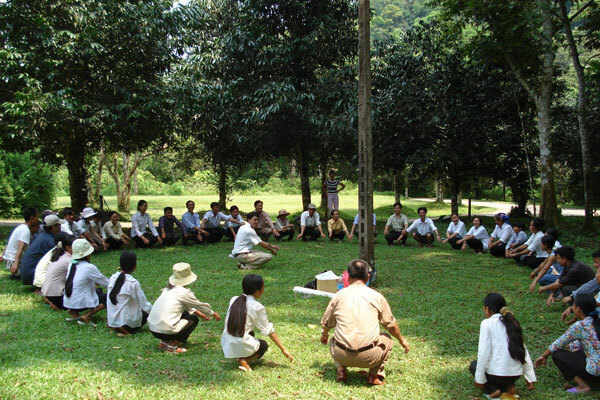 At the interactive education centre you can: See rescued animals in well designed and spacious enclosures and hear their stories; Watch videos about the rescue and release work of rare and critically endangered pangolins; See the traps used to hunt endangered wildlife; See the animals’ footprints and hear their calls; And there is lots of information on Vietnam’s carnivores and pangolins.